Home CDN , children , crafts , feature , holiday , holidays , homeschool , January , papercrafts , printables , US , worldwide January 18th - Featuring Snowman Freebies! January 18th - Featuring Snowman Freebies! -- The snowman is the beloved symbol for winter. He is one of the most popular figures worldwide. World Day of the Snowman was first held in 2011, the 18th was chosen due to the form of the Snowman: 8 symbolizes the snowman and the 1 stands for his stick or broom. 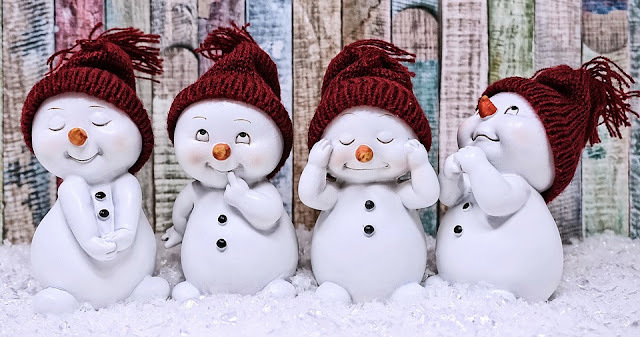 Moreover, January is usually cold enough to build snowmen and is therefore a perfect chance to celebrate the snowman. -- A thoroughly entertaining exploration, this book travels back in time to shed light on the snowman's enigmatic past -- from the present day, in which the snowman reigns as the King of Kitsch, to the Dark Ages, with the creation of the very first snowman. Eckstein's curiosity began playfully enough, but soon snowballed into a (mostly) earnest quest of chasing Frosty around the world, into museums and libraries, and seeking out the advice of leading historians and scholars. With over two hundred illustrations, The Illustrated History of the Snowman is a truly original winter classic -- smart, surprisingly enlightening, and quite simply the coolest book ever. • Plush Snowman with Scarf -- You will love the fine detail award winning Bearington Collection uses to bring Snowball the snowman to life. Hand crafted using soft plush materials this snowman is perfect for any stuffed animal lover or a special child in your life. Soft and pose-able Snowball will make a great companion or accessory to your Christmas or holiday decor. • Snowman Making Kit -- This is an all in one Snowman Making Kit - Just add snow! Inside the the black felt hat (with red/white stripe decorated with a holly leaf and berries) is a kit including one red scarf, two eyes, one carrot nose, one pipe and three buttons. - One of China's national dishes, Peking Duck has been served for centuries to emperors, diplomats, and plain folk alike. This roast duck is known for its delicious, crispy skin, which is sometimes served separately from the meat, which is often served wrapped in thin pancakes. -- Winnie the Pooh Day is an opportunity to enjoy your favorite bear and all of his friends. This day was created to celebrate the birth of A.A. Milne on January 18, 1882. He was an author of children's storybooks and created Winnie the Pooh and his friends. Winnie's pals include Christopher Robin, Tigger, Eeyore, Piglet, and Roo. Have some fun today. 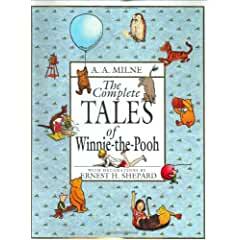 Celebrate Winnie the Pooh Day by reading some storybooks about the adventures of Winnie and his friends. Don't read them alone. Read them with young children. - Peter Mark Roget FRS (January 18, 1779 – September 12, 1869) was a British physician, natural theologian and lexicographer. He is best known for publishing, in 1852, the Thesaurus of English Words and Phrases (Roget's Thesaurus), a classified collection of related words.